Since subluxations and nerve impingement can be anywhere in the spine, we adjust the entire spine, not just the upper neck. All adjusting in the clinic is based on Gonstead principles as taught by Dr. Richard A. Gohl. Since every adjustment has the sole purpose of disc correction and any twisting of the spine will damage discs, there is no rotational or twisting adjustments in the neck or pelvis. 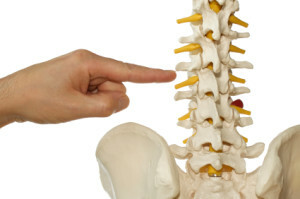 Also, the contact point must be specific so that only one bone moves during the adjustment. Moving multiple bones with the same thrust is a manipulation that is avoided. In the neck region, the adjustments are done seated in a chair. This is the only way to deliver an adjustment in the proper direction. This can’t be done lying down. Also, the tendency to twist the spine is far greater lying down. In the low back, there must not be any twisting of the pelvis on the adjustment. By delivering a specific adjustment, the body can heal quickly and make changes to spinal structure at a very rapid pace.